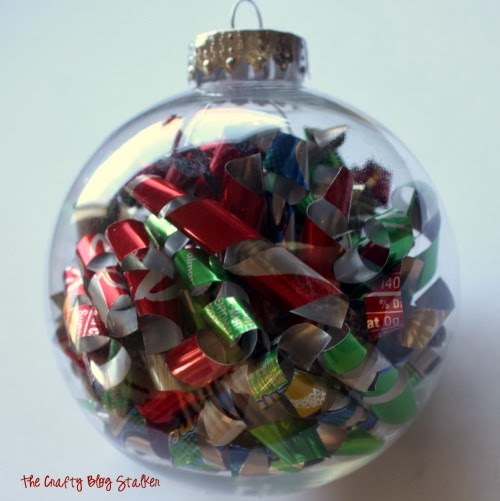 Make a keepsake ornament with aluminum soda cans. An easy DIY craft tutorial idea for ball ornaments will look great hanging on your Christmas Tree. This was such a fun DIY Christmas Ornament to make and it was very easy too. The fun colorful spirals inside the ornament are actually strips of Soda Cans. 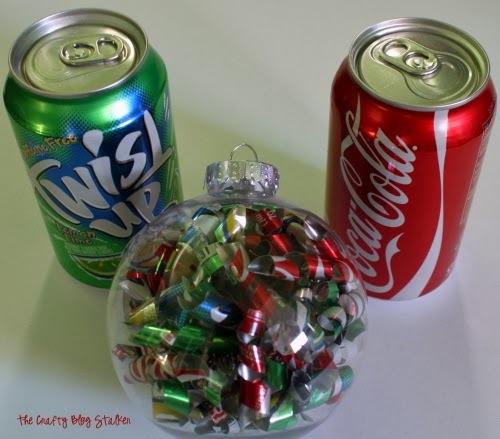 I wanted the colors to be green and red Christmas colors, so I used a red Coke can and a generic Twist up can. To cut the can open the easiest thing to do is to cut the top off and then the bottom off and then cut a slit up the side. I cut the can the into several strips and the twist each strip around a pencil to give the twisty shape. 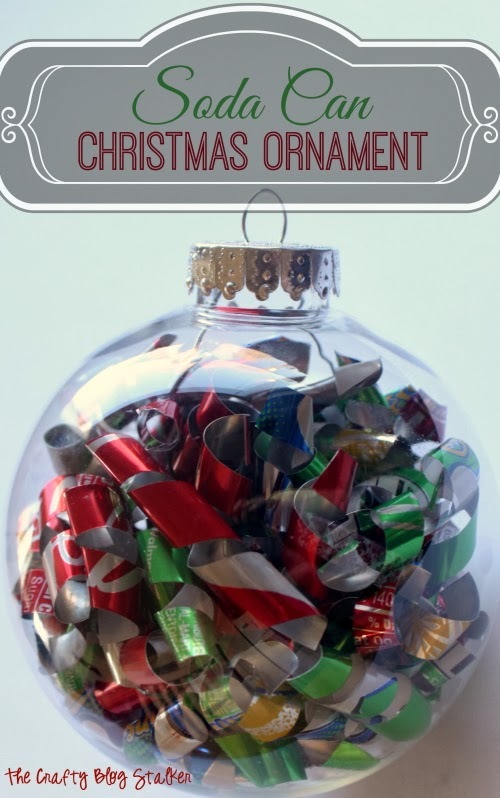 The ornament is a large globe, so it took a total of 4 cans to fill it up with twisted soda can strips. Now I can’t wait to put up our Christmas tree so I see it sparkle with the twinkle lights! Do you have a homemade ornament that you hand on the tree every year? Share and leave a comment below! If you liked this post you can find more DIY craft ideas in my Christmas Gallery or see my Ornaments below. SOOO cute! I love this idea.. I’m always wanting to by some clear ornaments… Everyone comes up with such cute ideas for them. [email protected]! Oh, can you send me your social media links for the refflecopter giveaway for our new party? thanks! Cute idea! Thanks for sharing at Talking Tuesday Over the Fence! Pinned it for you also….. This is way cute. This is absolutely gorgeous and inspirational. I would love it if you would share it at our WIW Linky Party. I hope you can join us! Just stopping by to let you know that you are featured at this week’s Freedom Fridays 🙂 Thanks so much for joining us, Katie! Love this project Katie! 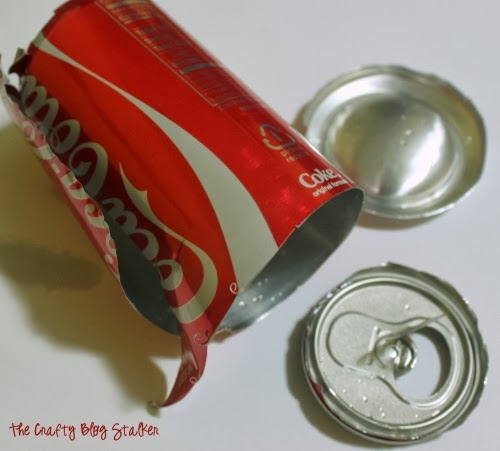 It’s a great idea for recycling those cans =) Just stopping by to let you know that you’ve been featured at this week’s Get Crafty Friday! I hope that you had a wonderful Thanksgiving and hope you have a wonderful weekend as well! Hey Katie! It’s Deonna from the Child at Heart blog! I love this post and would love for you to link up to the Merriest Blog Hop and share your creations! Katie, Love this project! Would love for you to share at Simple & Sweet Fridays this week! New Follower! Love seeing common items repurposed into decor! This is also a green project too! Very cool. They even look like pieces of candy inside. Thanks for sharing! This is really quite pretty and such a fun idea. We’d love you to link it up over at our Awesome Things Tuesday party. 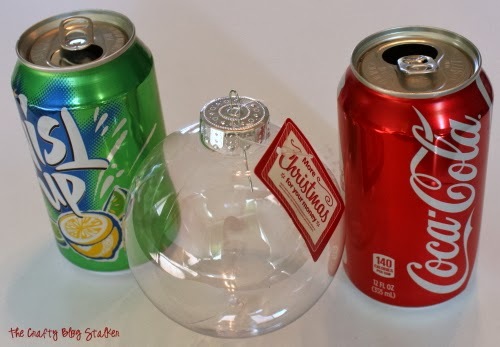 Visiting from Merry Mondays – I have seen a few ideas making ornaments with soda cans, but not like this. Very festive. This is so cute and creative! Thank you for sharing at Merry Monday! Such a nifty DIY! Stopping by from the Let’s be Friends party. Great way to recycle! Really cool. Thank you Melissa. I am glad you like my ornament. It was a lot of fun to make!